Unlike the lower price brackets of $500 and $300, $1000 breaks the trend, focusing more on sophisticated sound and less on extensive features. Yes, the manufacturers have dialed down things like remote functionality and tweaking controls, but the tradeoff is something much sweeter. Performance is king, and these subwoofers exemplify that on a grand scale. That isn’t to say they slouch in other areas because they certainly don’t. Each of the speakers are beautifully designed, and bring features that matter, still focusing on the sound as the focal point. 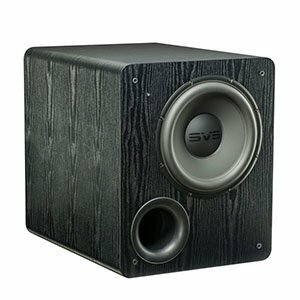 The SVS PB-2000 is an amazing subwoofer that delivers performance that hits far above the price range. 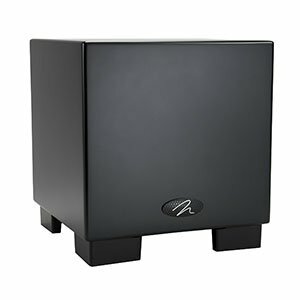 While missing features of some of the more expensive options, like DSP acceleration, the sheer power of this subwoofer proves why this subwoofer is an excellent choice overall making it a great buy in its price range. ​Now, your mileage may vary, but we really are not big fans of the look of this subwoofer. Not only is it finished in an odd, grain effect, the placement of the driver and port in an asymmetrical, diagonal configuration really makes you wonder who signed off on this look. If you’re less superficial than us, this won’t be an issue, but for the price point you would be right to expect more. The KEF Q400 pushes you to the forefront, with refined performance the delivers where you need it to. There’s a severe lack of features for a subwoofer at this price. Thankfully, you won’t need many of those anyway. The beautifully beveled box smokes most subwoofers, not going overboard, but still satisfying. ​This is a good looking subwoofer. Good, but not great. For the price range, you may be expecting more bells and whistles (both in terms of the aesthetic and the feature list), but you won’t find them here. What you will find is an extremely adept audio reproduction, and a listening experience that will have you coming back for more. It’s immersive, detailed, and just impressive across the board. The MartinLogan Dynamo 700W is a subwoofer deserving of the name. The woofer is tuned to perfection, with a transformative design that allows configurations for both front and bottom firing setups. The included wireless receiver and transmitter add a nice tough, pushing this to be one of the best subwoofers out there. 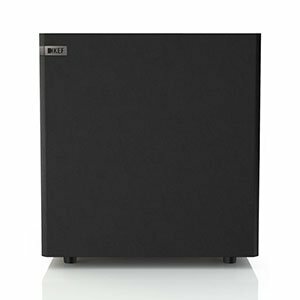 ​This is one of the best looking subwoofers we’ve reviewed in this price range (or, come to think of it, any price range); it remains understated and simple but has just enough flair to tell you that it’s a premium product. Our only (minor) complaint is that you don’t get a tonne of customization options, but this isn’t the end of the world given how good it sounds by default. Being top-tier speaker, you may be inclined to think these are the best subwoofers out there. However, that’s not the whole story, Yes, our picks sound amazing and some would argue that they are some of the best sounding out there. The issue comes with the price. These models are expensive, and this price bracket is where that starts to pose a bit on an issue. In this price range we are reaching the point of diminishing returns. While they are better than cheaper options, they are not better by the ratio of their price. The dropoff is less of a concern for audiophiles looking for the utmost performance. However, if you’re trying to get the best value, this isn’t the best place to look. When you enter the $1000, you might actually make a step backward in terms of features. That may seem counterintuitive, but if you know what you’re looking for in a subwoofer then this should make sense. For extensive features, you’re going to have to jump up even higher in price. No, these subwoofers trim down the features in favor of better design of the woofer, cabinet, and internal structure. That’s not to say features aren’t present. Familiar things like phase, tunable crossover,and automatic signal sensing are, of course, present. Furthermore, features like different positioning options push them to be a cut above cheaper options. The features here matter in terms of the sound, adding to that overall focus. Each of the top picks are beautiful. The majority of them are smaller than previous options. Again, focus on sound, not on specs. Following suit with dialing things back, each of these subwoofers feature a clean, black-box styled aesthetic. However, there’s something that feels more premium. They don’t just fit in, but they fit in while looking independently beautiful. Additionally, the build of these seem much more rigid. This is inclusive of both the cabinet and woofer housing, reinforcing the whole subwoofer. This brings not only longevity internally and externally, in addition to improving the overall response of the box. Now, don’t misunderstand anything that I’m saying here. Each one of these subwoofers is beautifully designed with a low-end that’s tight and consistent, thumping your house with each hit. The features, while not extensive, provide a few options for integrating them into your setup in the most seamless way. There is something to be said about diminishing returns within every one of these models. In theory, they are not as good of a value as the lower price tiers. However, at $1000, value may not be the focal point. Performance is the focal point, and these speakers are examples of that.